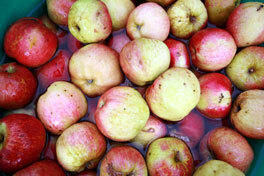 Cider Making courses Hants and Surrey | Upper Neatham Mill Farm | Cider Brewing Hampshire. 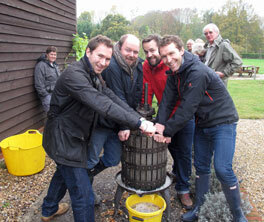 Cider making course in Hampshire England. Training you everything you need to know about how to make cider. select, pick and prepare apples. 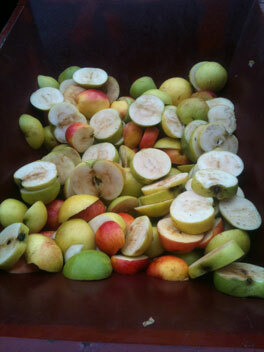 mill and press into apple juice, trialing different types of cider making equipment. 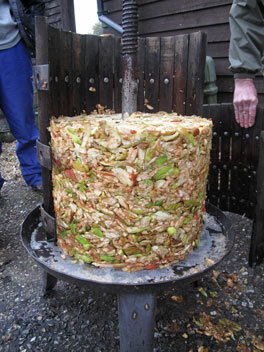 Prepare apple juice for the start of fermentation. Training you about the fermentation process and the steps you will need to take to make the cider you like. After the workshop, take back home to complete the fermentation process into cider. All produced by your own fair hands. The workshop is separated into two full days showing you how to make cider, producing separate batches from different apple mixes and alcoholic strengths. The weekend is as much about learning and using the equipment, working as a team and sharing experiences as learning the art of cidermaking itself, with discussions likely to continue over an evening meal. Upper Neatham Mill Farm in Hampshire, has an established traditional orchard of 100 trees of bittersweet, sweet, sharp and bittersharp apples, as well as pears. Equipment includes scratter and electric mill and screw press with ratchet and arm mechanism as well as hydro press. 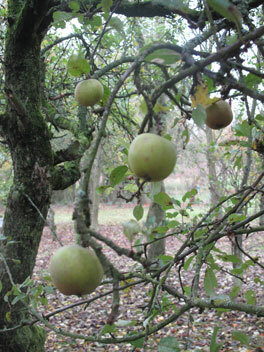 Hampshire as with Somerset, Devon and Herefordshire has an ideal climate for growing apples and producing cider. 4 star silver award bed and breakfast accommodation, so you can relax in style, giving you a weekend break combined with learning how to make your own cider. All equipment required in the process of making cider. Course notes on all steps in the process of making apple juice and cider. Specific detailed route cards on the batches of cider produced. 1 demi-john per person, rubber bungs and fermentation locks which have all been sterilised. (we can supply these at additional cost). Clothes for working outside in a variety of weather conditions. Additional funds for lunch & evening meals out. (typical cost, around £20 per person per night). Your own apples to press into your own juice then on to cider, or to be used to mix into a blend of juice from the other apples supplied. 3 nights and 2 full days of practical cider making. There will be a supplement of £85 for single occupancy. 2 nights and 2 full days of practical cider making. There will be a supplement of £70 for single occupancy. 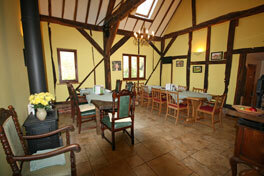 There's a limited number of non residential spaces @ £65 per person per day, £130 in total . We ask for 40% Non refundable deposit, balance secured with a card and may be used in conjunction with our cancellation policy. If a booking is cancelled after 13:00 of the day of arrival or in case of no show, the card used to secure the booking will be charged to the value of the total booking amount. If Booking is cancelled within 48 hours of the planned arrival date, a cost equal to 80% of the outstanding balance may be incurred. If booking is cancelled within 14 days of the planned arrival date a cost equal to 20% of the outstanding balance cost may be incurred. There will be no cost for cancellations (except the non refundable deposit) outside 14 days of the planned arrival date. 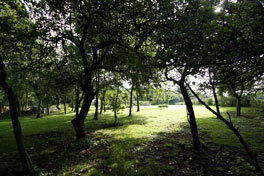 Click Daily telegraph article, as one of the daily Telegraph's top ten sustainable living holiday courses. Click Cider making weekend itinerary, to find out what is covered and when during the weekend. "Very sociable event - well managed, excellent notes, accommodation very comfortable, breakfasts excellent - would recommend to friends." "Loved it will recommend to everyone." 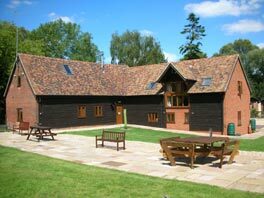 "Lovely accommodation - fantastic course!" 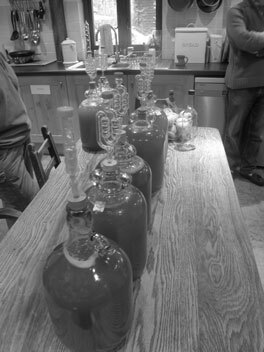 "The cider making course answered all our questions and was 'down to earth' education, perefect for the home brewer. We loved Glenn's approach to cider making, its realistic and cost effective." "We enjoyed the outings in the evening, which was a nice way to mingle socially with the other course attendants." "The notes provided are straight forward and to the point - simple to take home so we can replicate the process." "We feel you have a great setup, 2 days is perfect for the course, but having 3 nights accommodation is great to extend the weekend and feel you have had a break too!" 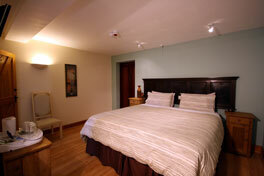 "The rooms are very well appointed and cleanliness is of the highest regard." or please do telephone or Email us with your requirements. 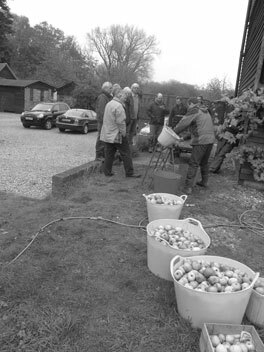 For Hampshire residential cider making course, bed and breakfast availability on your chosen dates, or to book your course, please telephone UK 01420 542908 requesting the residential cider making course.